I recently took a business trip to Germany and something that helped me pass the time and kept me sane was both listening to podcasts and reading books about backpacking. Backpacking is essentially a huge part of my life principally because it is a great chance to explore what many miss in their busy lives and I believe it connects me with a greater humanity which has been lost with all the frills and technology which swallow us whole. Someone also once said that nature is God's splendor and it simply can't hide His magnificence. Each time I see something I haven’t seen before, like a tiny flower deep in the bush completely obstructed from the rest of the world, I find a great peace within myself and with my own spiritual beliefs. When I can't find time to backpack, I try to find ways to still tweak my hobby through blogs, books, and videos which directly or indirectly relate to backpacking, wilderness safety, and nature. Fortunately, there are a ton of great books, podcasts, forums, and videos on the available to keep my backpacking hobby well fueled. YouTube even has either parts or whole videos of backpacking or "how-to" films. Some of the stuff I review is strictly for entertainment and others are for education, but in the long run I take it all with a grain of salt and let my mind wander. Some of these are fiction, some of these are non-fiction, some are “how-to’s”, and some are in a category which I typically claim is worth the read even for just one nodule of information I didn’t know before. For example, I recently learned that duct tape offers properties similar to birch bark. It is slow to burn and can serve as a good and long-lasting candle when necessary. Whether for inspirational stories, the chance to get away mentally, or little tidbits like this, I find it all quite fascinating. Just the simple knowledge that my gear has multiple uses is worth the read to me. Because this blog is dedicated to lightweight backpacking, I figured it would make sense to identify the books which more or less paved my path. “Lightweight Backpacking and Camping”, by Ryan Jordan is, in my opinion, the most fundamentally sound book on lightweight backpacking available. It takes a scientific approach which makes logical sense to me and isn’t otherwise based on the ole “well it worked for me” mentality which obviously leaves a lot to be desired when equipment doesn’t work out while in the backcountry. Although Jordan probably wouldn’t admit as much, I believe his book was built on a foundation provided by Ray Jardine in his books “Beyond Backpacking” and his recent release “Trail Life”. Jardine seems to have been the first to really start putting lightweight backpacking principals on paper, although his ideas were considered a little too radical at the time and he regrettably was labeled as a bit of an outsider even though the movement has come full circle. 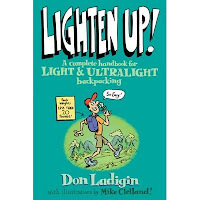 Lastly, for those of you who don’t like to read technical manuals and learn better through illustrations, get the book “Lighten Up” by Don Ladigin and illustrated by Mike McClelland. I have always enjoyed McLelland’s artwork which has been promoted on various backpacking websites. As an ultralight backpacker and artist, his pictures are often more concise and easier to understand than volumes of words on the issue. Residing in Virginia means my go-to hiking areas are the Appalachian Trail, Shenandoah National Park, Great Smokey Mountains, Blue Ridge Mountains, etc. Despite spending thousands of hours of these trails, it never gets old. Sure I long to see new places, new environments, and experience new challenges, but when time and gas money is short, I can’t complain about what is in my backyard. 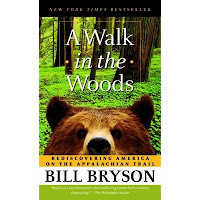 One of my favorite books about hiking the Appalachian Trail is a book by Bill Bryson called “A Walk in the Woods”. Several people who read this blog from all over the world (thanks by the way) have commented on hiking the AT. If you really want to get an idea of what it is like and get a good laugh along the way, take some time to read this inexpensive book. I was 200 pages deep before putting it down on my first read because I wanted to know what happened to the various characters introduced in the true story by the author. I also really enjoyed reading about the experiences and places just a few minutes away where I had been many times. In as much as it is a story about the AT, it is also a story about finding yourself, bonding with friends, finding peace in nature, history of the trail and local community, and the general comedic value of different personalities and things in our society which are simply funny. When the weather outside is rough, when time and career obligations strap you to your chair, consider reading one of the many great backpacker stories or listening to a backpacking podcast and I bet you’ll find a smile on your face more often than not. Please feel free to comment about your favorite backpacking/outdoor magazines, books, podcasts, or films to hopefully encourage others to explore them too. 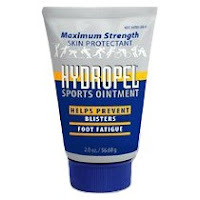 One of the things I’ve found that often gets overlooked in lightweight backpacking is the fact that this remains a small cottage industry. Hikers just like you and I, likely on a trek, thought to themselves, “hey, I can make that better” – and then went home and did it. The motivation for someone to take an idea from scratch and not only make it for themselves but to offer it to the masses while dealing with the stresses of running a small business is something that can’t be appreciated enough. “Offices” for these manufactures are often their kitchens or garages and customers are often calling them on their home phones at all hours, day and night. 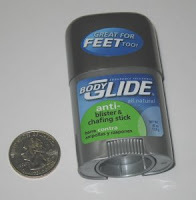 For me, and because backpacking is a hobby I greatly enjoy, I felt it was appropriate the day before Christmas to pass along a well deserved T-H-A-N-K-S as it is these little things which make life just a little more enjoyable. It is also for the sake of these cottage manufacturers that the latest and greatest technology and fabric is available to people like you and I so we don't get stuck with merely whatever sells to the masses from the big name guys. Because these guys have a vested interest in lightweight backpacking, they are quick to offer innovation and switch product lines with little to no fuss. Their business model is to use the lightest and most durable fabrics and technology at whatever the cost instead of targeting a price and figuring out how they can fall under it with less than stellar parts and fabric. Customer-need drives their products and they almost always offer some of the very best customer service in any market. Now that I've got my holly-jolly all geared up, I wanted to wish everyone who spends even just a few seconds every now and then reading my rants a big ole THANKS and Merry CHRISTmas! With winter grabbing hold across the country, I figured I’d address one of the most important topics regarding winter sleep systems – the sleeping pad. 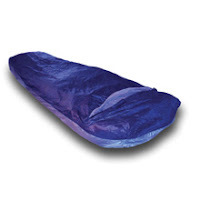 Sleeping pads come in all shapes and sizes and are manufactured with different materials. Some are foam (like PVC or Evazote), others have Aerogel or are lined with down or foam, and others are merely a lightweight inflatable nylon shell. Others are a combination of all of these and even newer technologies offer a reflective coating. 99.9% of the time, my preference is a lightweight Evazote foam pad like those manufactured by Gossamer Gear (http://www.gossamergear.com/). 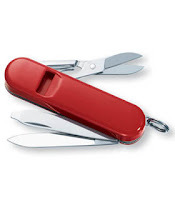 They are light, durable, inexpensive, and do the trick. Personally, I’m not a huge fan of inflatable options, not because I don’t think they are comfortable, but because I don’t like sitting up so high as it causes me to roll off it, I don’t like the potential for it to pop, and I don’t like the extra weight. In the winter months, however, I take a long hard look at my sleeping system to ensure my pad will keep me warm as what I use during non-winter months likely won’t be sufficient year-round. “R-value” is a measure of thermal resistance and becomes an important consideration when sleeping outdoors in colder weather. In a nutshell, the higher the R-value, the better off you’ll be when it comes to your body heat being transferred to the cold ground. As you can imagine, increases to higher R-values pads often costs more and is more expensive. 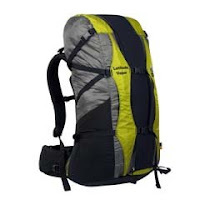 Since the goal of lightweight backpacking is to cut weight wherever possible without sacrificing comfort or safety, fortunately there are some good options. For me, once the warmer months start to dwindle, I choose other options based on the environment and temperatures. Many times I don’t discard my Gossamer Gear 3/4” Evazote pad. Instead, I merely add another similar pad to it. Carrying two pads is not only usually enough, but it still remains lighter (and less expensive) than purchasing an alternative. When it gets really cold, I either discard this system, or replace the lighter Evazote pad with a Stephenson Warmlite DAM (http://www.warmlite.com/bags.htm) to be used in conjunction with my Gossamer Gear 3/4" pad. The Warmlite DAM comes in a variety of sizes which can be as little as 18 ounces for a pad with an R-value of 9. Many shorter folks also like the TorsoLite from Bozeman Mountain Works (http://www.backpackinglight.com/). At 10 ounces for an increase of 3.5 in R-Value, it is really the best lightest alternative for folks who can stand a 32" pad. As I was researching this issue in the past, I tried to get as much information as I could so I could make an informed decision before I started to waste money on expensive purchases that wouldn’t keep me warm. The chart above represents information I came across during my research. This information came from manufacturers as well as others who were interested in compiling the same information. With that said, I cannot say with absolute certainty that all the information is absolutely correct, but it is as accurate as I can make it for these purposes. I am also aware that other pad manufacturers are not identified on this list which may be just as good, simply, I didn’t have the time to research “every” option, just the most “popular”. Lastly, there was no good way to organize this information, so I did it alphabetically. I figured weight and R-value were the two most important pieces of information, so that’s what I included. 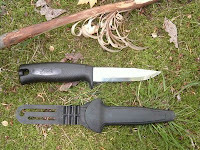 I also included "ranges" for several as the manufacturer offered different sizes which changed the weight. Obviously cost, length, cut, materials, preference, and other options come into play, but that’s for everyone to decide on their own merits. If you read BACKPACKER magazine, you’re likely convinced that a good lightweight, even ultralight shelter, should weigh between 4-6 pounds. 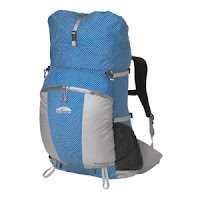 If you then head to your local Walmart or REI, you’ll notice most tents are in this range which clearly means either BACKPACKER doesn’t own an accurate scale, doesn’t know the market, or doesn’t understand the options available to lightweight backpackers. I’m guessing it is a combination of all three. Despite being a subscriber to BACKPACKER and enjoying aspects of it, I’m convinced their editors live in an underground shelter which prohibits them from really knowing the market. Although there aren’t a ton of lightweight tent options, there are some very good products on the market. 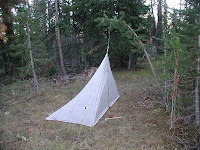 Six Moon Designs (http://www.sixmoondesigns.com/), Henry Shire’s Tarp Tent (http://www.tarptent.com/), and products by Oware USA (http://www.owareusa.com/), ) no doubt lead the race for enclosed tent-like structures. 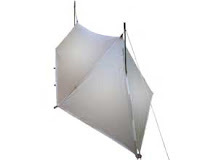 Other options, such as those offered by Mountain Laurel Designs (http://www.mountainlaureldesigns/) utilize a tarp with an optional mosquito insert which essentially makes it a tent. 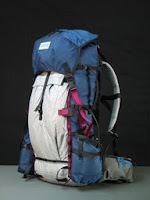 Both Backpacking Light (http://www.backpackinglight.com/) and Gossamer Gear (http://www.gossamergear.com/) offer tarps of various configurations and frills. 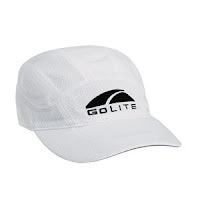 Another industry leader is GoLite (http://www.golite.com/) which offers everything from tents to tarps and everything in between. A couple lesser known, but fully qualified are, and Black Diamond Equipment (http://www.blackdiamondequipment.com/). 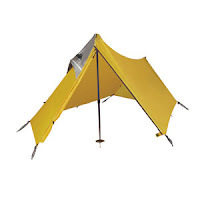 My personal favorite is the Lunar Duo offered by Six Moon Designs, the Alphamid by Oware USA, and tarps such as those offered by Gossamer Gear or Mountain Laurel Designs. There are also other others for shelters in the form of waterproof bivies and vapor barriers such as those offered by Integral Designs, which will be discussed on a later blog. Tents or shelters made from Cuben fiber seem to be the next generation in going ultralight. 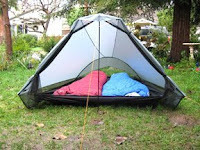 Six Moon Designs is one manufacturer already offering a 27 ounce full coverage tent known as the Refuge X (http://www.sixmoondesigns.com/shop/shopexd.asp?id=58). 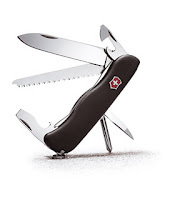 At $400 it isn't cheap, and there are plenty of unanswered questions about long-term durability, but it does provide a niche to those who have the ability to own one. It looks very similar to the Lunar and Lunar Duo models, of which I'm a huge fan, so it will be interesting to see how this tent and others shake out in the future. 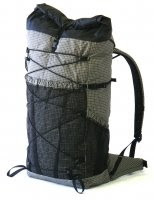 Oware USA also offers several options with Cuben. Some very inventive folks use Tyvek, the material commonly used during home construction to wrap a home to aid in weather protection, to make a shelter. 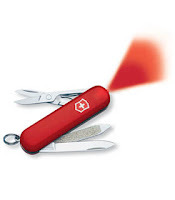 I've frequently used it as a ground cloth and it works great. 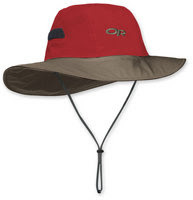 It is very inexpensive, lightweight, and might have a market in the right circles. If you're interested in trying one, just head down to your local hardware store and buy a sheet. 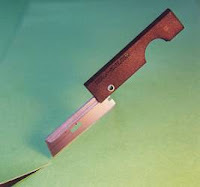 If you can figure out how to seal the and fasten joints and get it upright, you might just have a product for market. 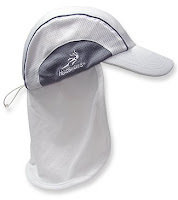 Each of these offerings is made lighter through sensible design and lightweight fabrics. Each also uses other gear carried, for example, trekking poles, which serve as the shelter’s support while cutting down weight. When pitches correctly, there is no reason these lightweight shelters can't stand up to the elements as well as other mainstream options. For the acquired taste, and spine, hammocks may also be a great lightweight shelter option. Some very capable manufacturers include Hennessey Hammocks (http://www.hennesseyhammocks.com/), Jacks R Better (http://www.jacksrbetter.com/), Speer Hammocks (http://www.speerhammocks.com/), Eagles Nest Outfitters (http://www.eaglesnestoutfitters.com/), Jungle Hammock (http://www.junglehammock.com/), Mosquito Hammocks (http://www.mosquitohammocks.com/), and The Travel Hammock (http://www.thetravelhammock.com/). Each system offers a little different variety, different sizes, and other frills, but each is for one occupant only an offers minimal storage. Each hammock can be hung between two trees or other objects regardless of ground conditions and packing is often no bigger than a volleyball. Course, heat loss is a reality with no ground contact and the wind will always be a factor in heat retention. Some manufactures allow for a pad to be slipped into the bottom or even a cocoon-like structure to be tied around the user from the bottom. Unfortunately, with the more options needed to stay warm, the heavier this shelter gets without offering more space or storage to more users. Much like with any piece of backpacking gear, the choice of which shelter to carry depends on the experience of the user, environmental conditions, and affordability. If you’ve ever backpacked in anything other than warm summer temperatures, there is a strong likelihood you felt cold at one time or another. Feeling cold is a great equalizer as it not only makes you uncomfortable, but it pushes you towards feeling miserable. Fortunately, there are a handful of things you can do to give yourself the best odds of keeping warm even with lightweight gear. The key to staying warm is to understand why you are cold. 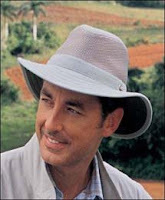 Backpackers lose body heat though evaporation (sweat), conduction (cold ground), convection (atmosphere), and respiration (breathing in cool air and/or changing the humidity of a closed area such as a tent). Most people erroneously think they need a heavier sleeping system, heavy clothing, heavier tent, or at the very least, to find some place where wind isn’t as prevalent. Although each of these would contribute to being warmer, it makes a lot of sense to try making smart choices before bringing your entire bedroom suite with you while backpacking. For me, the first decision I make when trying to stay warm is to ensure I have a sleeping system which functions collectively with everything I’m carrying. This means the clothing in my pack needs to be worn while I sleep as otherwise it doesn’t make a lot of sense to carry it. 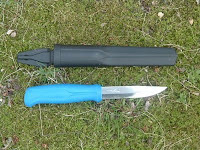 Secondly, I want to ensure I’m not going to be laying in any moisture, so I make sure I bring a bivy with a waterproof bottom and breathable Pertex-type top (as to ensure the ground moisture doesn’t bother me and to allow my body to breath to avoid the build-up of cooling condensation). Next, I want to make sure I’ve got a healthy “R-value” sleeping pad. The higher the R-value, the warmer I know I’ll be. In the interests of staying lightweight, I usually carry two torso-sized closed-cell foam pads in winter and that’s sufficient to protect me against the cold ground. Closed-cell pads, in most cases, offer a higher R-value than their inflatable counterparts (and are cheaper and lighter too). I place my pad, stuff sacks, and anything else I can find under my legs, and my lower body is fine. Picking the right spot is also essential. Finding a place with a nice fluffy bed of pine needles, tall grass, or uncompressed duff is ideal. I also avoid staying next to bodies of water as it negatively affects the humidty. Camping within the tree line also helps avoid winds which blow across peaks and up valleys. If in the snow, camping under a big tree may give you some luck in finding softer ground with less snow, but be careful as things overhead may come down at any time. Going to bed shortly after getting off the trail is also a good idea as your metabolism continues to push along a little faster which aids your body's ability to stay warm. Your metabolism also works to your benefit if you eat shortly before going to bed. Adding “hot” spices to your dinner is also a smart choice as they too push your body’s warming system into the evening hours. I also personally find great comfort in having a set of merino wool/SmartWool top and bottom just for sleeping. 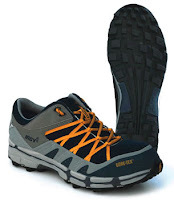 They are clean, free of grease and sweat which would otherwise impair performance, and they are dry. Sleeping in anything wet is always a quick way to get cold. It is also a good idea to dry your bag/quilt out each day to help maintain its loft as any degradation of loft will lower the effectiveness of your bag/quilt. Don't put your head inside your sleeping bag/quilt either as your breath will cause water vapor internally which will hurt your ability to stay warm. Instead, give yourself a "mouth/breathing hole" and cover your head with your sleep system, or my preference, a nice warm fleece or down balaclava. Keeping hot water in your water container and placing it next to your body also makes a wonderful heat source as you try to sleep. Many will argue that a double-walled tent is a necessity, but for a few days on the trail, I’d stick with a single-wall if merely only for the ventilation. A tarp continues to function well even in snow, as long as it is pitched tight and at the right angles. If I choose to add ounces to keep me warm, it will be in the form of a warmer sleeping bag/quilt and clothing layers, not a tent. If you were wondering, a vapor barrier (VB) is really only needed in sub-zero conditions which I think is a rare situation for most backpackers to encounter unless they intentionally hike in environments where this will be the case. Before putting yourself in a bad position, try these suggestions in your backyard when an escape into your warm home is an option in case your plans don’t work out. Once you’ve found a system that works, give winter camping a shot and find the beauty of solitude in the wilderness. With winter camping especially, there really isn't a "one size fits all" because extreme low temperatures affect each of us differently. However, with the right plan, gear, and smart choices, you can give yourself the best shot at being warmer than others who didn't think it through.